The Royals joined the Mariners and D-Backs as the only two teams to place three prospects in Baseball America’s top 30. Last season, the Royals placed a record 9 prospects on this list. But with Hosmer, Moose, and Duffy all making their way to the K last summer, the number was sure to be smaller this year. Placing five prospects on the list is nothing to scoff at though. Only the Padres, Cardinals, Rangers, and A’s had more than the Royals this year at six. You’ll notice on his list, Goldstein left Mike Montgomery off, most likely due to his command issues last season in Omaha. He also has John Lamb on his list, who missed all of last season because of Tommy John surgery and subsequently fell off many of the Top 100’s. Keith also ranked the Royals as the 5th best farm system in all of baseball. MLB.com included four Royals prospects in their Top 100. For more on that, you can look here and here. The Royals have two of their top power hitting prospects at 3B, and just graduated perhaps it’s top power prospect last season. 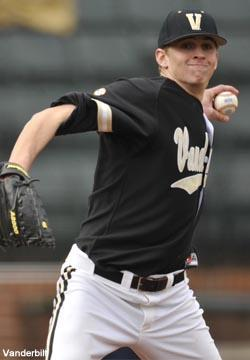 The organization is fairly deep at the hot corner, and it should be a good position to keep an eye on in 2012 and beyond. 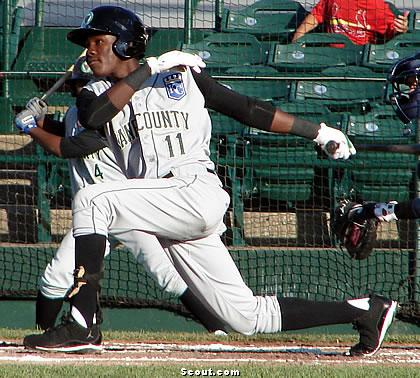 At 27 years old, Mario Lisson is already a career minor leaguer. 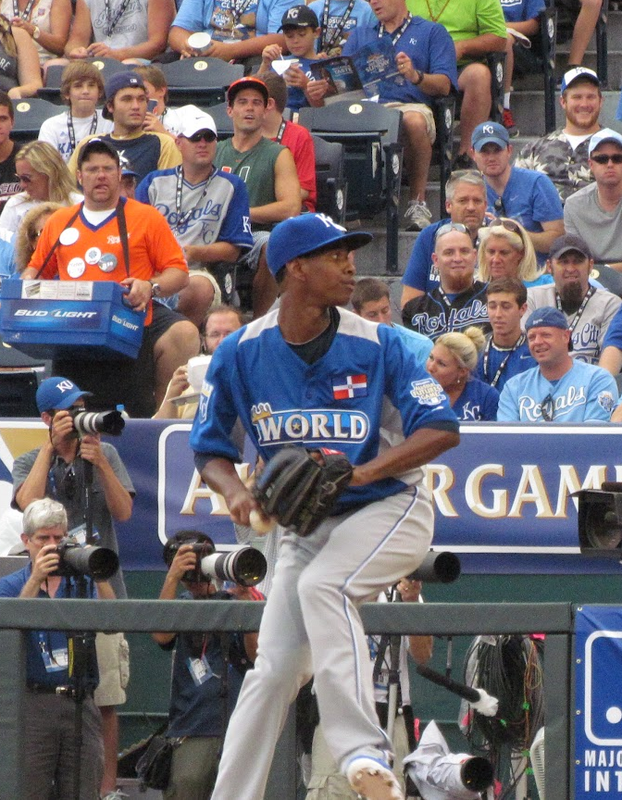 The Royals signed him out of Venezuela in 2002 as an athletic, raw infielder. He’s toolsy enough to play virtually any position. In his 9 minor league seasons, he’s logged 501 games at 3B, 207 at SS, 33 at 1B, and even 2 at C. His glove is average at best, but his ability to play all over the field disguises it. 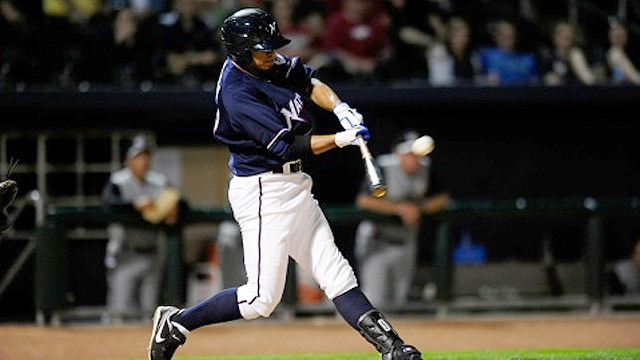 His bat isn’t anything to brag about either, but he has shown the ability to work walks at a decent pace (2:1 K:BB ratio), and he did hit 15 HRs and 21 2Bs in 89 games for the Naturals last season. He stole bases at a good clip in his first few minor league seasons (133 from 2004-2008), but has slowed down a little recently (26 from 2009-2011). He’s never had a true “breakout” season to date, which is probably why he has yet to make it to the bigs. Grade: C-. Lisson is a true baseball player. He can do anything you need him to, but likely not much better than most others. He’ll most likely never make it to KC, but could be a fit anywhere. 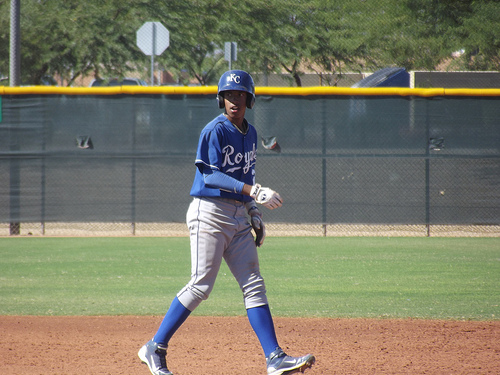 Leonard is a 6’3″ 3B/OF prospect who played primarily SS/3B/P in high school who the Royals picked in the 5th round of the 2011 draft. He had a strong commitment to the University of Georgia, but was lured away to the tune of a $600K signing bonus. Due to his large size and raw power at the plate, Leonard was switched from SS (much like the Royals did with Moustakas) to 3B by the Royals. While some see him staying in the infield, others think he’ll eventually be moved to a corner OF position. His glove and arm are and will be good enough to do either. Grade: B-. 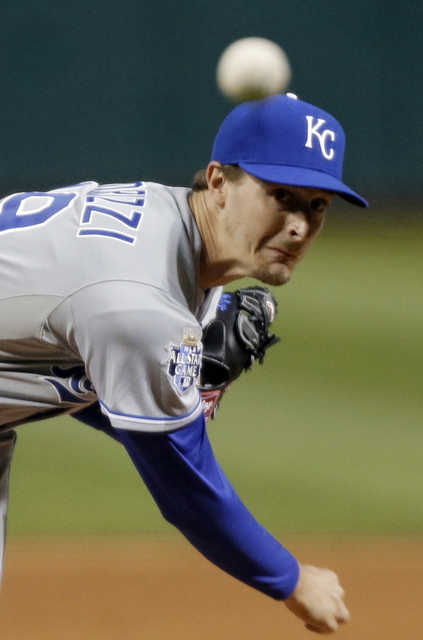 Patrick’s power swing will be good enough to help him advance rather quickly through the Royals’ farm system. So it all really depends on which position he sticks at. 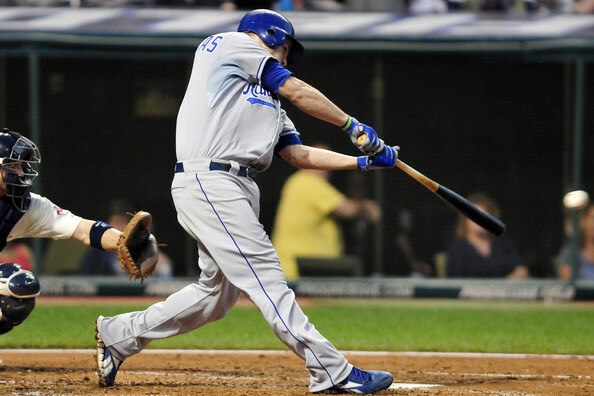 Kouz was signed by the Royals last month as an insurance policy to Mike Moustakas. He possesses decent power and a great glove and would serve as a great bench player for Kansas City this season. 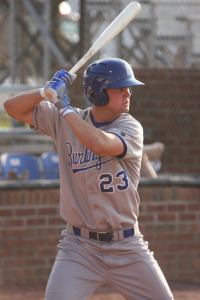 For more on Kouzmanoff, check out this post: Royal Sign Kevin Kouzmanoff . Grade: C. If he can make the team out of Spring Training, Kouz will be good for a start a week, pinch hit for Moose against tough lefties, as well as against tough lefties in tight games. 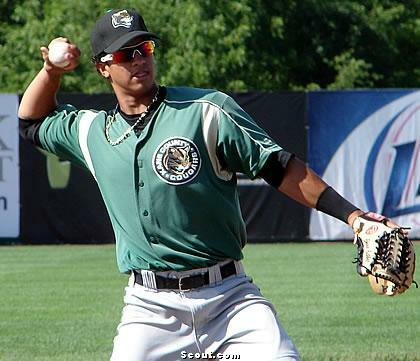 Cheslor Cuthbert is ranked as the number 5 prospect in the Royals system for 2012 by Baseball America, as well having the best infield arm within the system. At only 19 years old, he looks the part of a big leaguer. 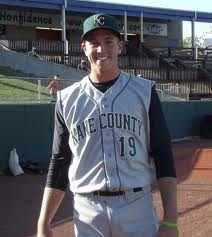 In 2011, Cuthbert played the entire season at A-ball as an 18 year old, which is fairly young for that league. He had a line of .267/.345/.397, flashing some of the raw power that scouts claim he possesses (8 HR in 81 games), and displayed slick hands and a powerful arm. Grade: B+. 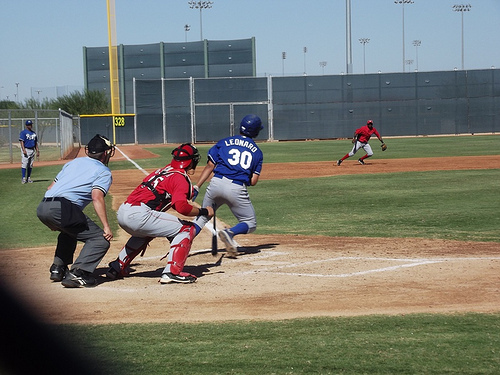 With his size, soft hands, and plus power potential, Cuthbert has drawn some comparisons to Adrian Beltre. And if he becomes anything like Beltre, he’ll have one hell of a career. No prospect in the system excites me right now more than Cuthbert. At just 19, he’s still got plenty of time to grow within the ranks and could possibly supplant Moustakas within the next 4-5 years. 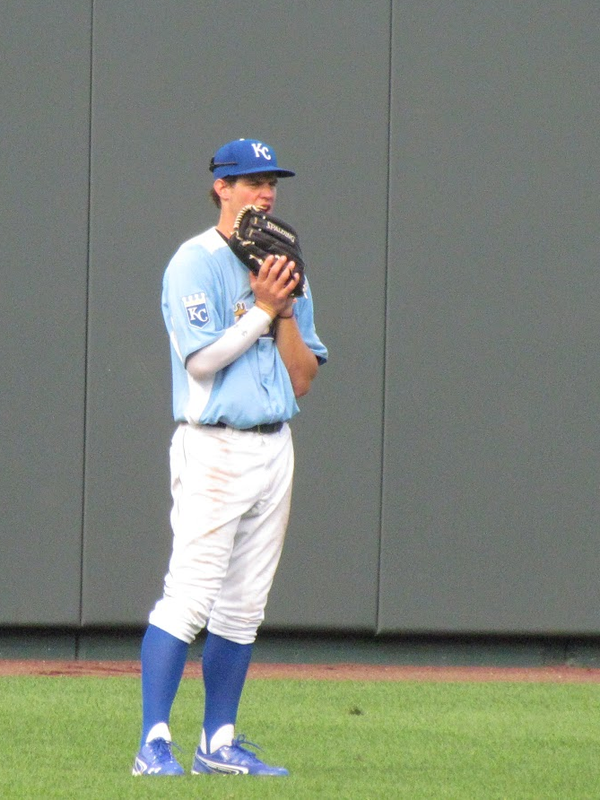 Ever since the Royals selected Mike as the 2nd overall pick in 2007, the Kansas City fanbase has been in love with the power potential Moose would one day bring to the lineup. That day came last June in Los Angeles.. or Anaheim.. wherever it is the Los Angeles Angles of Anaheim play. After the series against the Angels, Moose just seemed to lose his way at the plate, slumping all the way through June, July, and most of August, seeing his AVG fall all the way to .182, with only 1 HR to show for it all (which came in his second career game). But something started clicking, and his AVG began to creep its way back to respectability. 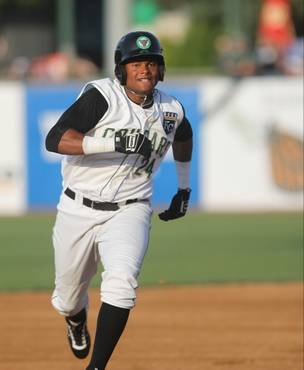 He hit .283/.324/.343 in August and a terrific .352/.380/.580 with 4 HR in September and October. Moose had a little trouble on defense, making an errant throw every now and then, but did pretty well for the most part (ranked 5th in the AL with a 2.57 range factor). But Mike’s true value comes from his bat, specifically his HR potential. Grade: B+. I expect Mike to be a typical power hitter, with a line of around .260/25 HR/80 RBI. He’ll benefit by being placed behind Alex Gordon, Billy Butler, Eric Hosmer, and Jeff Francoeur in the lineup for the next few seasons, allowing him to see better pitches. His bat is what brought him to KC, and with guys like Leonard and Cuthbert behind him on the organizational depth chart, it will have to be what keeps him here. A solid list overall that I cannot argue against. The only question I have: Why Mike Montgomery at #1? 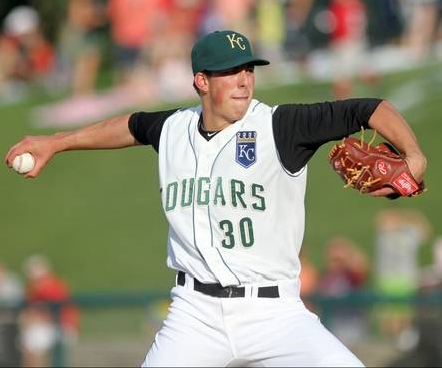 I mean I get it.. His upside is high (most say #2 starter potential), he’s left-handed, and throws a fastball that sits in the mid-to-high 90’s and a changeup that’s rated (by Baseball America, no less) as the best in the Royals’ minor league system. Wil Myers had a down year at Double-A and Bubba Starling has yet to play in a professional inning yet, so I guess it makes sense logically. Just from the way Myers has been hyped up for his pure-hitting ability over the last few years, I would have thought he’d be at the top of the list. But if Wil Myers is your 3rd best prospect, then you must have a pocket full of gold. From here folks, the future looks looks like a bowl of cherries. Enjoy.